We provide three nutritious meals daily with snacks throughout the day. We encourage our residents to invite family and friends to share meals with them for a guest charge of $5.00 per person. We also welcome private parties for residents in our private dining room or West Living Room at no additional cost. Residents often host their garden clubs, bridge clubs, circle meetings, Bible studies, and domino groups for brunch, lunch, or dinner. 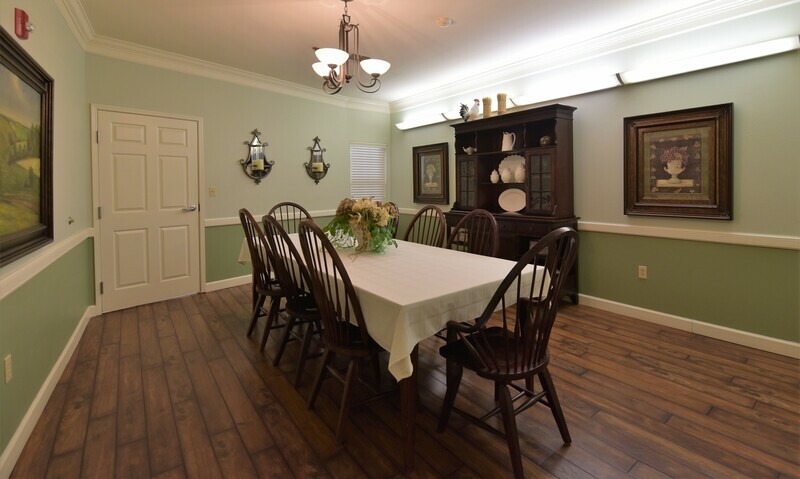 Residents may place special orders prior to meal times and are free to dine at the times of their choice during serving hours. 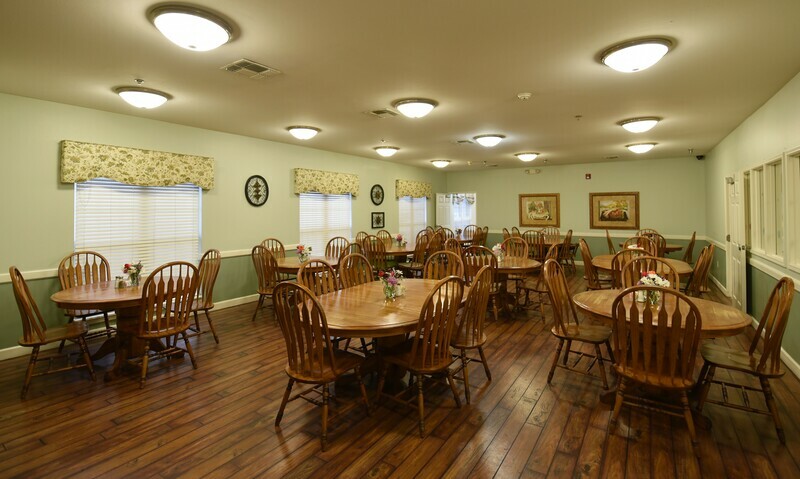 Each day for breakfast residents may order what they would like to eat. We always offer scrambled eggs, oatmeal, Cream of Wheat, bacon, sausage, pastries such as doughnuts, muffins, French toast, and waffles, toast from assorted breads, a variety of juices, a variety of cold cereals, fruit bowls, and yogurt. Lunch is always a selection of two meats, three hot vegetables, a choice of bread, two salads and two desserts as well as a dessert option for diabetics. Residents make their selections while our staff prepares their meal. Residents can also be specific to portion sizes. Dinner is our smaller meal of the day. We always offer a hot soup and sandwich along with a main course and a side dish. Salads and fruit are always offered at dinner time along with a dessert. Residents make their selections while our staff prepares their meal. Residents can also be specific to portion sizes. Copyright © Seguin Assisted Living, Seguin, Texas. All rights reserved.